Tatooine, Outer Rim - Local Man Luke Skywalker has been charged for carrying out a recent, historically brutal terrorist strike, taking the lives of 300,000 people at the DS-1 Orbital Battle Station, Death Star. The motivations for the strike have been said to be of deeply religious origin. 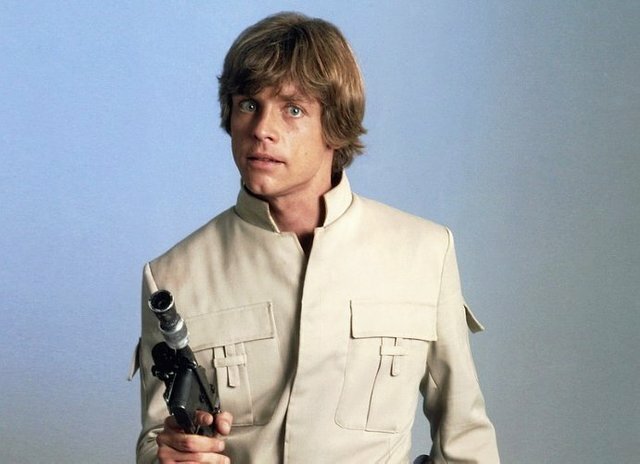 Growing up without his parents, after a military strike killed his family, farm boy Luke Skywalker was radicalized in his mid-twenties and grew up to be a religious leader himself. Skywalker blamed the government for the loss of his parents and found comfort in a rather strange, ancient cult about glow wand fighting and speaking in a reverse pattern. For these reasons, it was difficult for Steemstreet Journal to get a coherent interview from the man. With his father absent, Skywalker formed a close relationship with religious fanatic Obi Wan "Ben" Kenobi, a wanted criminal across space. Kenobi convinced Luke to leave his surrogate family behind because he was needed in the army of God - which Kenobi called Force. "Luke is a prime example of what a modern society with broken families can do to a young man; with no attachments, no roots, no real home, a young man can easily become radicalized and made to commit the most outrageous of acts. 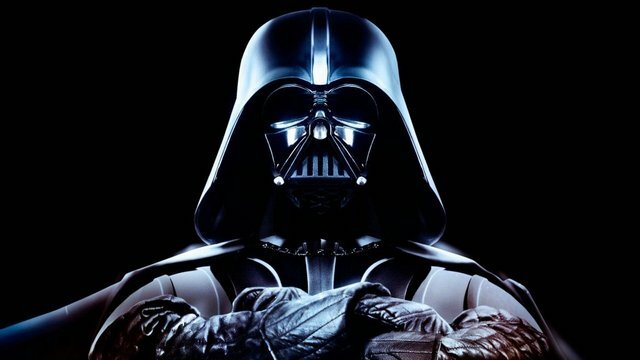 I fear Skywalker is just first of many", our expert on sociology Karl Knowhow tells us. "This was a cry for help, first and foremost." With teachings such as "Clear your mind of questions" and "Unlearn what you have learned", young men are easily indoctrinated by this cult to do as commanded, with full trust in authority. In the wake of these events, it is finally time for us as a society to sit down and really ask ourselves the hard questions of how we are treating our young men. Luke Skywalker is currently wanted in 56 systems across the galaxy and is still on the run He is extremely dangerous and most likely armed. Do not attempt to make contact. All sightings must be reported to your local authorities. Steemstreet Journal would like to send their condolences to all who lost their family members or loved ones in this terrorist attack. @lordvader will be pleased for your support. I know, I really hope he sees this. These are tough times for him. He survived, but he lost hundreds of thousands of his friends, comrades and confidants. Yes very true. When will these terrorists stop the killing? They really are ruining it for all the peaceful Force believers. Yes and the worst one is that little green gremlin who pretends he is all profound by talking backwards. Some even rumor Luke to be @lordvader's son, but I wouldn't believe anything these people say. @masteryoda has a lot to answer for. Very pleased. Can't you tell? Brilliant! After watching the recent star wars I couldn't help but think, yet again, how the events in the film would be portrayed in news media if they were real. I haven't seen the new films, but I've heard they were very politically correct. Tarkin Did Alderaan. Google: Space Station 7. The force is a religion of peace. No it's not and never was. Jedi is about using the force to accomplish one's will in the world. Honestly it's probably the closest thing we have in this world to a religion that could have a plausible scientific basis, since it's recognizing that the energy is without, but the control is within. Also midichlorians could just as easily be an ancient nano-tech that spread across the universe to become ubiquitous in the environment. Since it's the mental control of midichlorians that gives one control over the force and without them "The force would not exist". If you want a religion about peace you need to look to Islam, Christianity and every other major religion. No one wants to believe that they are on the side of evil. And this terrorists shamefully cal the legal authorities the "Dark Side"! Really? It's the indoctrination. The only authorities they accept to recognize are the religious leaders. The laws of the material world are of no consequence to them, sadly. This is what makes them dangerous. It's sad really. No-one cares about the henchmen and their families. I mean it's hard to make your way in the galaxy these days, and there are mouths to feed. Sometimes those mouths even have bodies attached to them, and some of those bodies even have legs and feet. Yes, you have to buy shoes! But not just any shoes. Oh, no! They have to be the latest shoes. Spare a thought for the children on those henchmen that will have to walk through life with unfashionable shoes, outcast from society, living on the fringes. How long will it take for them to become radicalized? Finally! Someone from your system understands what I have been trying to say. These rebel scum want chaos. They do not respect the order I provide by destroying anyone who dares to step out of line. I don't even want a "thank you". Just a simple "I won't blow up your delightful battle station filled with innocent janitors, tradesmen and their families." @shattenjaeger you have joined the very short t list of Earth inhabitants who will receive warning before I destroy your planet. You are welcome. Is there any truth to the rumors that this delinquent terrorist is your son? I understand if this a personal question, my Lord, but people want a statement from you. For the record, I have told everybody no, that's impossible. "That's impossible!" Hmmm where have a hear that before? Is the suspect incredibly whiny? I bet he's not as whiny as my son so It can't be him. Thank you for making this clear, my Lord.